UW online engineering, at the top again! Once again, the University of Wisconsin-Madison’s online Masters of Engineering has earned a top three ranking in the US News listings! I couldn’t be more proud to teach in such a great program! MEPP interactive booklet is available! As an instructor in the Masters of Engineering Professional Practice degree (online), when I read these kinds of strings, I know that I have been very fortunate to be thoroughly embedded inside such a great online degree program. The biggest detracting element for any online program, I think, is getting instructors to create an engaging atmosphere. It does take more than parking a video camera a the back of the room and capturing a lecture (which we rarely do). Reconfiguring the learning for e-versions is a complete re-do, most often, and it requires constant upkeep. U of Wisconsin-Madison’s Online Masters of Engineering programs earn top ratings! 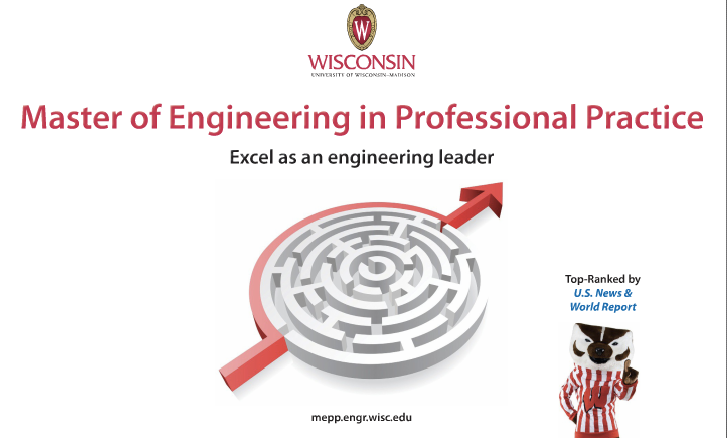 The online graduate programs at the U of Wisconsin-Madison offer targeted, work-related, applicable learning for rising engineers, especially those going into engineering management. Yesterday, US News and World Report released its rankings for the top online graduate engineering program. University of Wisconsin’s Online Masters of Engineering programs placed first in two categories and fifth in another! 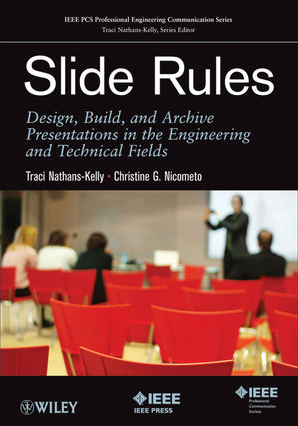 In the Masters of Engineering of Professional Practice (which is often called an “engineering management” degree, I teach Communicating Technical Information with my colleague Christine Nicometo. In the Masters of Engineering in Engine Systems, I alternate years teaching presentations skills within that degree with Nicometo. MEPP (Masters of Engineering Professional Practice) Celebrates 10 years! I am proud to be a faculty member of MEPP, and the degree is celebrating its 10th Anniversary this fall. MEPP is a combination of an MBA and Engineering, designed to foster professional development for the engineering manager and leader. MEPP degree holders are amazing and hail from every corner of the industry and many countries around the world.